March 2, 2015 By Liz 74 Comments Note: This post may contain affiliate links. This easy vegan falafel is made with canned chickpeas and a handful of pantry staples. This recipe only takes a few minutes to prepare! Yeah, this vegan falafel is good. And it’s also super easy, requiring just a few ingredients that you probably have sitting in your pantry. Make sure you rinse and drain your chickpeas well before using. They don’t need to be completely dry but too much liquid can make the falafel mushy. I wouldn’t try to substitute dried parsley for the fresh parsley but if you absolutely have to, add 1 tablespoon of dried parsley. You can use any neutral oil when pan frying the falafel. It’s fine to use olive oil since the heat is relatively low. (Olive oil has a low smoke point.) But you could also use avocado oil or canola oil, depending on what you have available. I also like to use a non-stick pan which cuts down on the amount of oil I need. I love that this falafel can be made in a food processor. It comes together so quickly and easily! 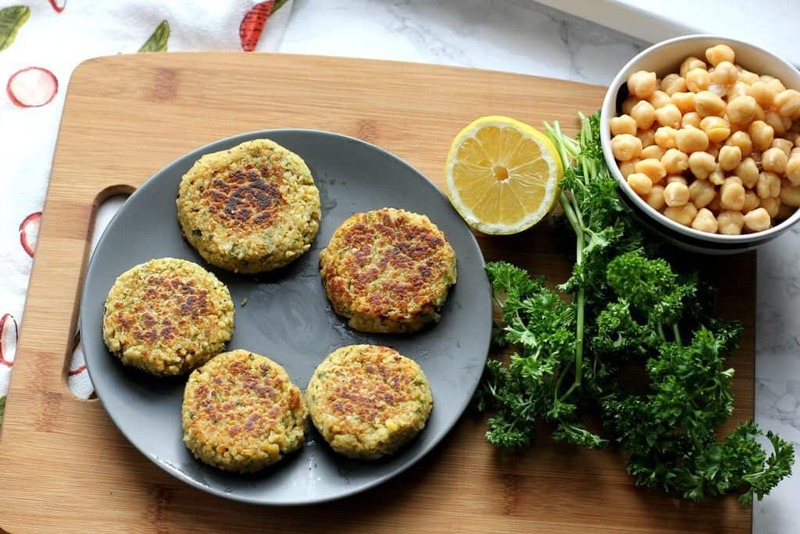 This vegan falafel uses canned chickpeas to make this recipe quick and easy! It makes 6 small patties, enough to serve 2 people as a main dish. 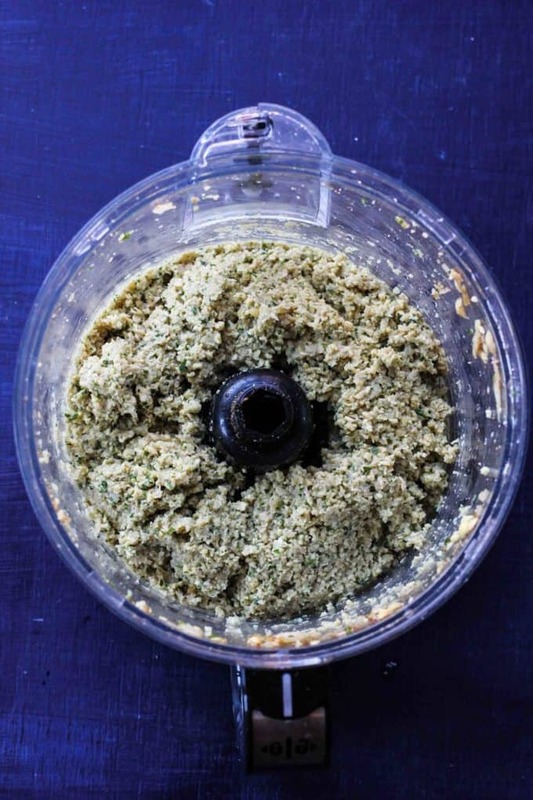 Add the chickpeas, garlic, lemon juice, cumin, parsley, salt, za’atar, and 2 tablespoons of flour to the food processor. Pulse for 10-15 seconds until chunky. If the mixture is too wet, add the additional 2 tablespoons of flour. Heat 1 tablespoon of olive oil over medium heat in a large skillet. Flip and continue to cook for 4-5 minutes, adding the additional tablespoon of oil, if necessary. After rinsing the chickpeas, be sure to drain them well. You don’t want any extra liquid in these patties so be sure to drain them until the liquid is gone. If you’re vegan, serve with hummus or enjoy it as-is! If you eat dairy, try it with a scoop of this tzatziki sauce on the side! 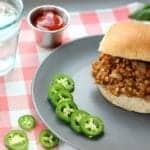 Looking for other easy vegan recipes? 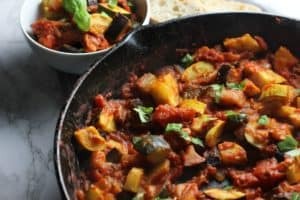 Try this easy, one pan ratatouille recipe! Craving something sweet? 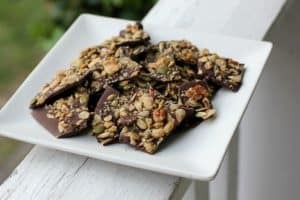 Make this vegan granola bark! Don’t forget to pin this vegan falafel so you can make it later! Have you conquered any new recipes lately? Greek food is always a favorite of mine! I can’t wait for the tzatziki recipe because I can totally put that stuff on everything. I am all about the homemade falafel. I cook mine in the oven and although it doesn’t get as crispy, it is still pretty good. I think ill try baking this for a lighter version- since I’m sure it would still taste good! Would you bake it at 350 or 400 & for how long? Yum! I like eating falafel, but I’ve never made it myself. I’ve been conquering the juicer lately. Sometimes it conquers me, but mostly I’ve made some really good juices! Mmmm, sounds good to me! Chickpeas are good in almost anything. These look so good! I have been obsessed with Greek and Mediterranean food lately so I will definitely add this to my list of recipes to try. I’ll keep an eye out for the tzatziki recipe! Yum! I have been searching for an easy peasy recipe for falafel! Looks soo good! I definitely want to try this .. I think I’m overdue to pick up a food processor, for sure. I buy falafel from Trader Joe’s freezer section, but I’d love to make my own. Thanks for sharing! Ooo I’m so excited to make this. I really love falafel but never make it at home. I’d probably add a little tahini sauce too. I loooove falafel and can no longer find the box mix I used to use (yes, I’m that lazy!) so I’ll have to give this a go! I haven’t had falafel in so long, you have just reminded me that I need to make some asap! Oh man I loveeeeee falafel!! I’ve made it once at home, but I actually found it to be flavorless!! I’m most definitely going to try yours out! Falafel is one of my favorite things ever!!! I order it everywhere I can find it and used to only make it at home when I used to box mix. I recently started experimenting with making it myself and it can be so dangerous to have all that delicious falafel around! Your version looks so good! I tried making falafel once, (a long time ago when I was still stuffing my face with meat) and it totally tasted like shoe soles, so I let go of the idea. But this is a totally different recipe, so I think I will give it another try. Especially since it’s vegan too. Thank you for sharing! Trust me- I know what you mean! I’ve had some less than stellar falafel recipes come through my kitchen! This sounds SO GOOD. I’m definitely adding this to my “to try” recipe list! I LOVE FALAFEL! Fun story…the first time I ever saw the word, I completely butchered the pronunciation of it. Think I said something like “full-a-fell”…hard to describe via a blog comment, but I swear it was so far from the right way of saying it. Anyway, this looks delicious! I’m glad you persevered and figured out how to make it as I sure didn’t before. Have a great day! Falafels are my favorite! I could easily eat a million as long as there’s enough hummus and baba ganoush around! YUM. I have store-bought falafel in my fridge right now but this recipe is so simple, I must try it!! I’ve seen a lot of really complicated recipes but they’re too intimidating! You’re so good at creating wholesome recipes with simple ingredients! I have everything I need to make these in my pantry right now so these have to happen! Thanks for the inspiration, girly! I actually tried this recipe and it was not good at all. The patties were so mushy they basically dissolved into the oil. Ended up mixing the patties that weren’t totally ruined into a new batch using a different recipe and baking them. I always keep canned chickpeas in the pantry. Perfect for quick recipes like this! I love how easily these falafel come together. The flavors sound incredible too! My family would love these. I love how easily these falafel come together. The flavors sound incredible too! My family would love these. Yum! I would love a couple of these with tzatziki – that sounds so good! I can’t wait to try them. 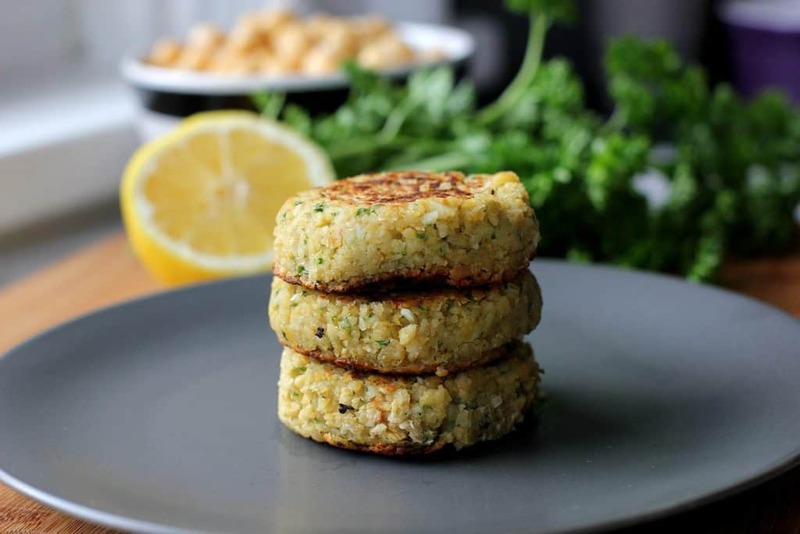 Easy falafel, yes please! I always found it daunting to make falafel with fresh chickpeas from scratch. Your falafels look perfect! Always looking for easy meatless recipes- I think canned beans are such a great shortut! Yum, I do love falafel, I’ve not made them in ages but this recipe is so easy it makes me want to. I love how quick these are to prepare. So healthy! This falafel recipe sounds really easy and I always have canned chickpeas available. Definitely gonna give this a try with some gf flour. good to know you got good results with the canned chickpeas, makes this a handy recipe! I see there’s no tahini used here, which is good for us as we have a sesame allergy. I love falafel and yours look so delicious and so easy to make! I have to try it soon for dinner – such a great healthy idea with a side of salad and potato. YUM! Yay! I hope you give it a try, Natalie! I am so excited to try this for our Meatless Monday meal tomorrow night! We all love falafel, but I never seem to make it because most recipes require soaked beans and not cooked/canned (which I always have on hand). Thank you so much! I love versatile falafels so much as they can be added to so many healthy meals, especially when you’re in a rush. Thank you for a great recipe. I love falafel, but I’ve never tried making my own before! 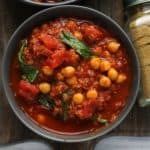 I have loads of cans of chickpeas in the kitchen, so I’m definitely going to give these a go, they look amazing and so easy to make! I think I’d have to lock myself away with them though as they look too good to share! Yum!! I never knew how to make this but your version looks amazing! Confession: I’ve never made falafel, but I do love to eat them. I like your inauthentic method with the canned chick peas — that way, you don’t have to wait to have a tasty falafel. I love good falafel. I need to make some of those soon. I’m adding these to my meal plan for next week, they are awesome! This looks really tasty! Can’t wait to try your recipe! I love homemade falafels but haven’t made any in a while! Definitely going to make these soon! Such a great meatless meal idea! I think even my picky family would go for them! 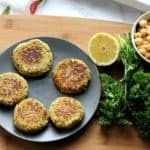 Great vegan version of falafel I love it I tried Lebanese version with fava beans and chickpeas, love to try your version with chickpeas alone. I always mean to cook falafel more often than I do, I love them, so tasty! Your recipe sounds fantatic! 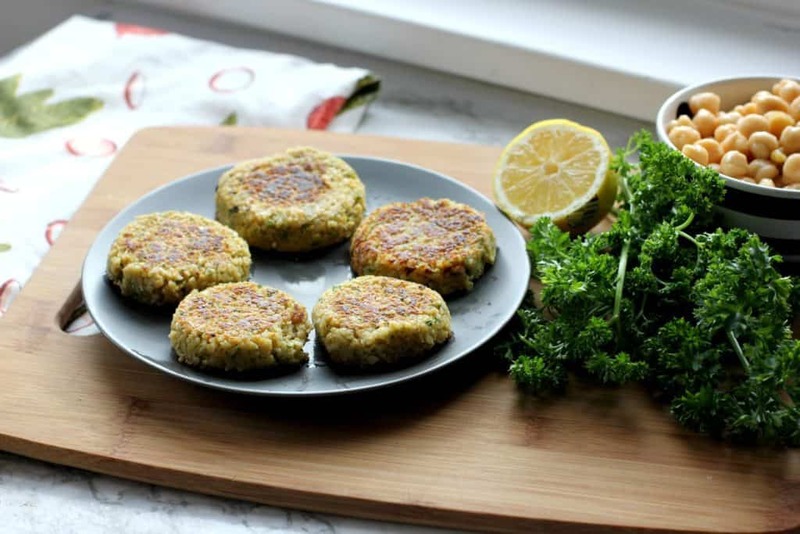 I would love to try this falafel recipe with your tzatziki sauce. I bet it is an awesome flavor combination! I had falafel for the first time on my first trip to NYC years and years ago. I’ve been looking for a good falafel recipe ever since! Will definitely be giving this one a try! These look SO good! I am making them for dinner this week! We always have a can of chickpea to make hummus. Great to know how to make falafel which I never made and always wanted to make our own. Thank you for the recipe. This was my kind of recipe! So easy and flavorful, thank you!! Yeah, I love to turn to canned chickpeas—I rarely have time to cook the dried version! Your falafel was fabulous!!! These sound so delish! I love that they’re vegan! I’ve only eaten falafel at our local Mediterranean restaurant. I had no idea it’s this easy to make and I love the vegan version you came up with. I have all the ingredients except the parsley, so I’ll pick that up tomorrow. Thanks! Falafel is one of my favorite vegetarian meals and this version is so easy! So fresh and flavorful! I have all the ingredients sitting in my pantry just like you said–except for the chickpeas. LOL! I will be heading out for a couple of cans today. 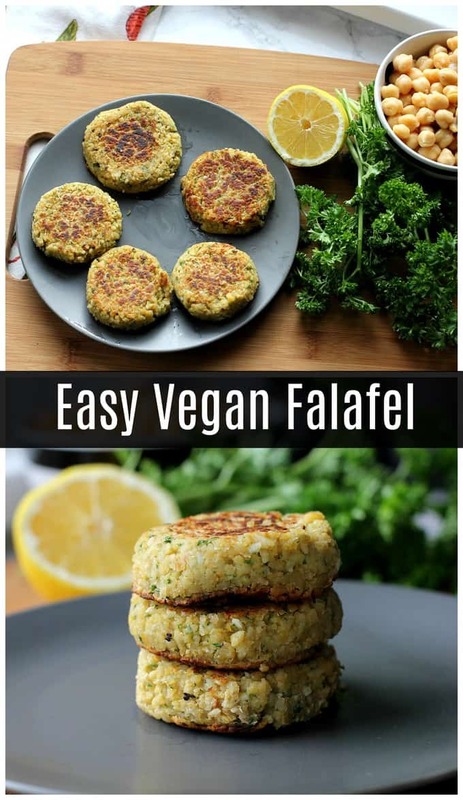 I love falafel and it’s great to know that it’s easy to make a vegan version! We are a big falafel fan family! Love how easy it is to make and fill of protein! Great for no meat eaters.